Any commercial real estate investment requires a firm grasp of the concept of net operating income (NOI). Here is everything you need to know about it. Calculating net operating income is essential in all commercial real estate investments and transactions. Net Operating Income Definition: Often referred to as NOI, it is the annual income that an income-producing property generates after considering all income gained from operations, and deducting all expenses that the same operations incur. The net operating income formula states that when operating income is greater than gross operating expenses, then NOI is positive. However, when operating expenses are greater than gross operating income, then NOI is negative. In real estate analysis, historical data sourced from an income statement (otherwise known as financial statements) can be the basis of NOI. Additionally, NOI may also depend on proforma — forward-looking estimates for future years. Net operating income measures a property’s ability to produce a steady profit or revenue stream from its operation. It is unique to the property and not the investor. Net operating income does not include any tax or financing costs that an owner or an investor incurs. This is dissimilar from the cash flow before tax figure calculated on a typical real estate proforma. A discussion about net operating income also requires a brief discussion of commercial real estate leases. In the analysis of any income-producing property, lease analysis always has to come first. It not only identifies who pays for which expenses but also the main source of income. As shown in the NOI formula above, understanding lease analysis is important in order for you to calculate NOI. Admittedly, there are numerous industry terms for various real estate leases. Some of these include the modified gross lease, the full-service lease, and the triple net lease. Depending on the person you are transacting with, as well as which part of the world you are in, these terms have different meanings. As such, it is important to remember reading each individual lease carefully is the key to fully understanding the lease structure. At a high level, there is quite a spectrum of possible lease structures. An absolute gross lease, for example, is one in which the owner pays all property-related operating expenses. On the other hand, an absolute net lease is one in which the tenant pays said expenditures. A negotiated or hybrid lease is everything else in between these two extremes. The key to understanding how to calculate net operating income is understanding each of its individual components. These include things like potential rental income, vacancy and credit loss, other income, and operating expenses. Vacancy and credit loss – Vacancy and credit loss consist of income lost due to tenants that vacate the property or tenants that default in lease payments. In calculating net operating income, you can calculate the vacancy factor based on current lease expirations and market-driven figures using comparable property vacancies. Effective rental income – In the given NOI formula, this is the potential rental income after considering vacancy and credit loss. This is the rental income that the owner can expect to collect. Other income – Other than the rent tenants pay, a property can also collect additional income for other things. These may include parking, vending, laundry, signages, and other sources. Gross operating income – Gross operating income is the total income that a property generates after taking into consideration vacancies, credit losses, and other additional income. Operating expenses – This includes all cash expenditures necessary for property operation and the command of market rents. 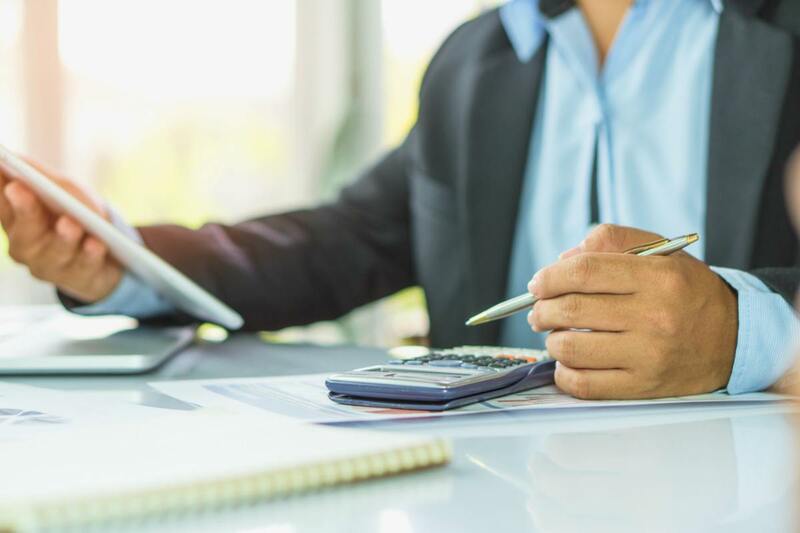 In commercial real estate, these often include real estate and personal property taxes, insurance, property management fees, utilities, repairs and maintenance, and other miscellaneous expenses such as accounting and legal services. Net operating income – This is the final result after deducting operating expenses from gross operating income. Debt service – Financing costs are owner/investor specific. Thus, you should not include them in calculating NOI. Depreciation – Depreciation is an accounting entry and not an actual cash flow. As such, you should not include it in calculating net operating income. Income taxes – Income taxes are also owner/investor specific and are not included in calculating net operating income. Tenant improvements – These include construction within the usable space of a tenant to make said space viable for the specific use of that tenant. Leasing commissions – These are the fees owners pay real estate brokers or agents involved in having the space leased. Reserves for replacement – These are funds that owners reserve for future major maintenance items. The textbook definition of NOI typically excludes reserves when calculating net operating income. In practice, however, many analysts include it. For example, a lender would typically include reserves in NOI computation. This helps determine the maximum loanable amount and the debt coverage ratio. Said lender has to understand the ability of a property to service debt. As such, they have to consider the capital expenses necessary to keep the property competitive in the marketplace. Capital expenditures – These are major expenses that occur irregularly. Counted among these are major repairs and replacements, such as the replacement of the HVAC system in a property. They do not include minor repairs and maintenance (such as replacing light bulbs and doorknobs) as these fall under operating expenses. Often, the reserve for replacement funds includes capital expenditures. NOI computations would often exclude these items. However, depending on the context, some are open to interpretation, so keep this in mind when building proformas and evaluating NOI calculations. Developers, lenders, brokers, appraisers, and investors often use a real estate proforma. In these proformas, the net operating income line would usually follow the NOI formula given above. First, it deducts vacancy and credit loss from the gross potential income. Afterward, it subtracts all operating expenses. NOI calculations that people use often do not include leasing commissions and debt service expenses. In both valuing and evaluating a property, knowing how to calculate NOI is an essential step. Having an NOI figure lets you look at different measures like maximum loan analysis in commercial real estate loans or cap rate. Later on, it also allows you to move to a more detailed analysis. Keep the NOI formula given above, as well as the items in it. This should help you better understand net operating income for any property.